An upper endoscopy can provide answers to problems with your upper digestive system, including your esophagus, stomach, and the first part of your small intestine, known as the duodenum. At Arlington Gastroenterology Services, board-certified gastroenterologist Hamid Kamran, MD, FACG, performs endoscopies to evaluate symptoms such as unintended weight loss and abdominal pain and to investigate abnormal growths. To schedule an endoscopy at the Arlington, Texas, office, call or use the online booking tool. An endoscopy is a procedure that examines your digestive tract using an endoscope, a long, flexible tube with a high-definition camera or an ultrasound device on the end. A colonoscopy is a type of endoscopy that examines your colon. The term “upper endoscopy” refers to an endoscopy that checks your upper digestive tract, which includes your esophagus, your stomach, and the beginning of your small intestine (duodenum). In an upper endoscopy, Dr. Kamran passes the endoscope into your mouth and throat, then slowly moves it through your esophagus, stomach, and duodenum. The endoscope produces images of your digestive tract, which he views on a monitor. In addition to viewing the inside of your digestive tract, Dr. Kamran may attach a tool to the endoscope so he can take a biopsy of abnormal tissue or treat problems with your digestive system. Why are upper endoscopies performed? 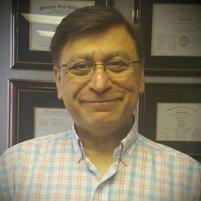 If Dr. Kamran identifies a problem with your digestive tract, he may take a tissue sample (biopsy) or a fluid sample. He can also treat a range of problems using tools attached to the end of the endoscope. This includes controlling bleeding, removing abnormal growths, widening narrow passages, and removing blockages. What should I expect from an upper endoscopy? You need to fast for eight hours before your upper endoscopy. Usually, this means scheduling your procedure for the morning and not eating after midnight the night before. Be sure to tell Dr. Kamran about the medications you take. For your safety, you may need to stop certain medications, including blood thinners, for a few days before the procedure. If you have a chronic condition, such as diabetes, and can’t stop your medication, Dr. Kamran provides special instructions to prepare for the test. Before the procedure, you receive a numbing spray in your throat, as well as an intravenous pain reliever and sedative. This allows you to be comfortable during the procedure. You may feel some pressure as the endoscope passes into your throat, but the procedure shouldn’t be painful. The procedure usually lasts 15-30 minutes. Because of the sedatives, it’s not safe to drive afterward. Be sure to arrange for a ride home. To schedule an endoscopy at Arlington Gastroenterology Services, call or use the online booking tool today.